PASADENA, Calif. -- NASA's Mars Exploration Rover Opportunity, now in its seventh year on Mars, has a new capability to make its own choices about whether to make additional observations of rocks that it spots on arrival at a new location. Software uploaded this winter is the latest example of NASA taking advantage of the twin Mars rovers' unanticipated longevity for real Martian test drives of advances made in robotic autonomy for future missions. Now, Opportunity's computer can examine images that the rover takes with its wide-angle navigation camera after a drive, and recognize rocks that meet specified criteria, such as rounded shape or light color. It can then center its narrower-angle panoramic camera on the chosen target and take multiple images through color filters. "It's a way to get some bonus science," said Tara Estlin of NASA's Jet Propulsion Laboratory, Pasadena, Calif. She is a rover driver, a senior member of JPL's Artificial Intelligence Group and leader of development for this new software system. The new system is called Autonomous Exploration for Gathering Increased Science, or AEGIS. 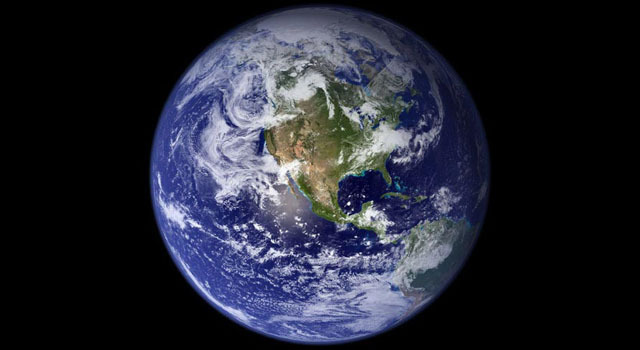 Without it, follow-up observations depend on first transmitting the post-drive navigation camera images to Earth for ground operators to check for targets of interest to examine on a later day. Because of time and data-volume constraints, the rover team may opt to drive the rover again before potential targets are identified or before examining targets that aren't highest priority. The first images taken by a Mars rover choosing its own target show a rock about the size of a football, tan in color and layered in texture. It appears to be one of the rocks tossed outward onto the surface when an impact dug a nearby crater. 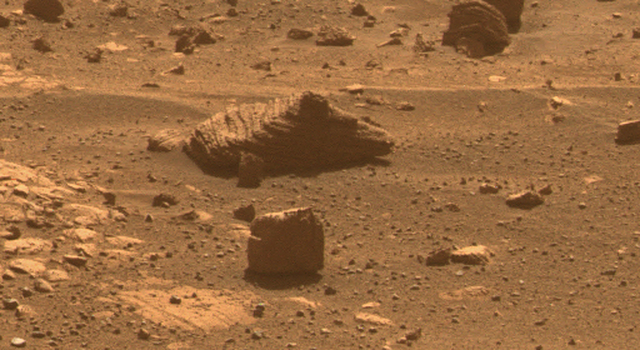 Opportunity pointed its panoramic camera at this unnamed rock after analyzing a wider-angle photo taken by the rover's navigation camera at the end of a drive on March 4. Opportunity decided that this particular rock, out of more than 50 in the navigation camera photo, best met the criteria that researchers had set for a target of interest: large and dark. "It found exactly the target we would want it to find," Estlin said. 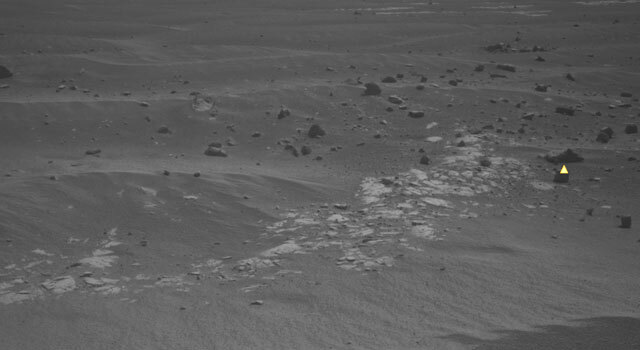 "This checkout went just as we had planned, thanks to many people's work, but it's still amazing to see Opportunity performing a new autonomous activity after more than six years on Mars." Opportunity can use the new software at stopping points along a single day's drive or at the end of the day's drive. This enables it to identify and examine targets of interest that might otherwise be missed. "We spent years developing this capability on research rovers in the Mars Yard here at JPL," said Estlin. "Six years ago, we never expected that we would get a chance to use it on Opportunity." The developers anticipate that the software will be useful for narrower field-of-view instruments on future rovers. Other upgrades to software on Opportunity and its twin, Spirit, since the rovers' first year on Mars have improved other capabilities. These include choosing a route around obstacles and calculating how far to reach out a rover's arm to touch a rock. In 2007, both rovers gained the know-how to examine sets of sky images to determine which ones show clouds or dust devils, and then to transmit only the selected images. 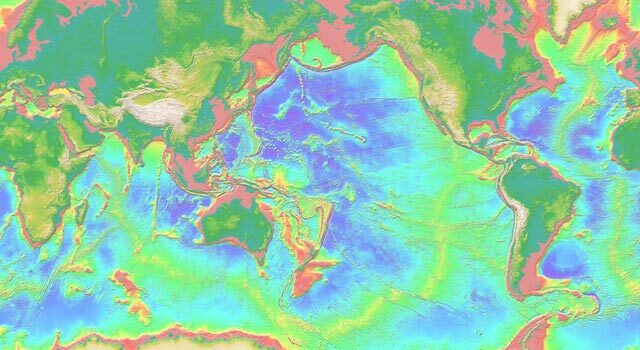 The newest software upload takes that a step further, enabling Opportunity to make decisions about acquiring new observations. The AEGIS software lets scientists change the criteria it used for choosing potential targets. In some environments, rocks that are dark and angular could be higher-priority targets than rocks that are light and rounded, for example. This new software system has been developed with assistance from NASA's Mars Exploration Rover Project and with funding from the New Millennium Program, the Mars Technology Program, the JPL Interplanetary Network Development Program, and the Intelligent Systems Program. The New Millennium Program tests advanced technology in space flight. JPL, a division of the California Institute of Technology in Pasadena, manages the Mars Exploration Rover Project for the NASA Science Mission Directorate, Washington. More information about the Mars rovers is online at: http://www.nasa.gov/rovers. More information about AEGIS is at: http://scienceandtechnology.jpl.nasa.gov/newsandevents/newsdetails/?NewsID=677.